Sensational Receipts from their 10th Anniversary Auction! In a collaborative effort to celebrate the tenth anniversary of their founding, the Portuguese winegrowers’ group Douro Boys created two wines: a red cuvée and a vintage port. The two wines were launched—a total of one thousand bottles, all magnums—in an auction on the 13th of September, and brought in the magnificent sum of more than 300,000 Euros. 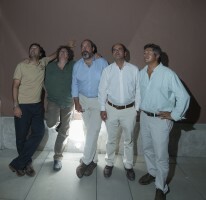 Sold for hammer-prices of up to 1,000€ per magnum, the five estates Quinta do Vallado, Quinta do Crasto, Quinta do Vale D. Maria and Quinta do Vale Meão achieved a surprisingly handsome result from the auction of their jubilee-wines. ‘For the two blends, each estate chose a particularly fine cask, so that the end result would express an exquisite synthesis of the five differing terroirs in the Douro Valley. With this, we are following the age-old blending tradition of the Douro, while at the same time creating two outstanding wines, which—to judge from the winning bids—have already achieved cult-status,’ explains Miguel Roquette from Quinta do Crasto. 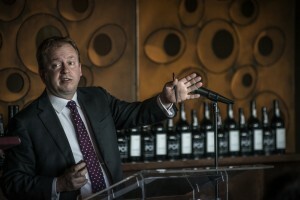 The auction was conducted by Peter Mansell from Christie’s, who highlighted the extraordinary quality of the 2011 vintage and then brought the gavel down in little more than an hour on some 1000 magnums, sold to winning bidders from fourteen different nations—both trade and private customers. The red wine Douro Boys Cuvée 2011 combines great aging potential with the unmistakable character of the Douro Valley: depth and concentration with liveliness and freshness, densely-woven tannins with rich fruit, power with vitality. The cuvée evokes the structured elegance of Quinta do Vallado, the uncompromising freshness of Niepoort, the charming fruit of Quinta do Crasto, the aristocratic minerality of Quinta Vale D. Maria, and the fascinating opulence of the Quinta do Vale Meão. 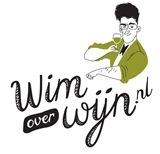 Dit bericht is geplaatst in importeurs, Nieuws met de tags Dirk Niepoort, DOURO BOYS, Miguel Roquette, Peter Mansell, QUINTA DO CRASTO, Quinta do Vale D. Maria, QUINTA DO VALE MEẤO, QUINTA DO VALLADO. Bookmark de permalink.